It’s sometimes hard to find the right P&ID symbol for a project, whether it be to identify or create. I’ve put together a list of pump symbols that you might encounter, mainly for identification purposes. Please do not request the blocks for these symbols, as I will not provide them. In the next few weeks I will put together a process for creating and adding your own symbols to AutoCAD P&ID’s database. 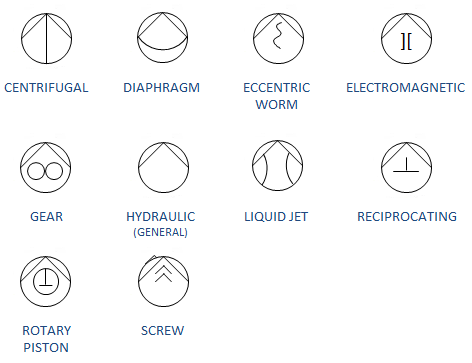 A number of general AutoCAD P&ID Pump symbols. 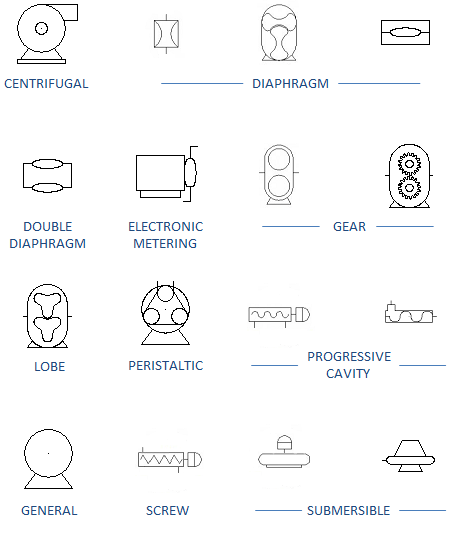 Covering: centrifugal, diaphragm, double diaphragm, electronic metering, gear, general, lobe, peristaltic, progressive cavity, screw, submersible. 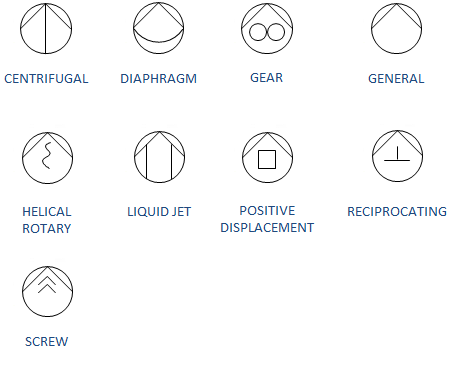 P&ID DIN Standard AutoCAD Pump Symbols. Showing: Centrifugal, diaphragm, eccentric, electromagnetic, gear, hydraulic, liquid jet, reciprocating, rotary piston and screw pumps. P&ID JIS-ISO & ISO AutoCAD Pump Symbols. Showing: Centrifugal, diaphragm, gear, general, helical, liquid, positive displacement, reciprocating and screw pumps. to make usee of a few of your ideas!! Very good but if flow direction is shown on pump symbol, it would be better. I have done what you said for creating a block in P&ID but at the end the “Add to Tool Palette” icon is not highlighted so I can not add it to the tool palette. You know why im not able to add it??? I am reviewing the P&ID symbols in my department to clean up and ensure all symbols are as per DIN symbols. 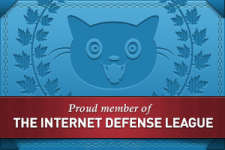 May I ask where can I get the DIN standard symbols as a reference ?